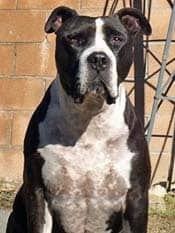 This is our dog Rolex, he’s an 8-year-old Pit Bull and is a big puppy. We took our 3 dogs to the local park with a large lake. The first throw of the ball, Rolex galloped into the water, and about 10 feet in, he let out a major Yelp and began to limp. I called him to come to me. Once to me, I see his entire leg is covered in deep dark red blood … this is not good!! I picked him up and rushed him to the bathroom where we washed it off so we could see the damage. His little nub that’s located above his declaw in the center of his leg was hanging by 2 flaps of skin. It was about torn off. We wrapped the leg and the next day I took him to my friends over at Inland Valley Vet Supply in Norco, Ca. They suggested Banixx and a cone. Within 10 days he was already looking better!! We learned of Banixx Pet Care at a show in Pennsylvania. 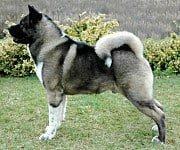 We told the Banixx rep of the problems that our Akita has with Hot Spots. She told us that Hot Spots may have an underlying cause but, despite that, Banixx may give some good relief. We got home and there was Kodi with a huge hot spot! The timing couldn’t have been better. We applied Banixx immediately. We used to use a really well-known product and Kodi was immediately uncomfortable and licked it off…making things worse! With Banixx, there was no flinching or licking and it healed in 3-4 days. Before, …it took over a week! 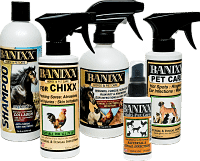 I am a seasoned Dog Handler and we own a Pet shop so we now sell Banixx regularly; it is a product that we really believe in! ” ‘Just try it and let me know what you think . . . Banixx’, my colleague said. I had just called a member of the Society of Wound Management for advice on a particularly difficult case. I was completely unprepared for the results I saw using Banixx. This wound was at a complete standstill despite the use of many good products. After beginning Banixx the wound healed in less than a week. This is the most amazing product I have used on wounds. My clients are as excited as I am. My practice is in a remote rural area and I see lots of bad wounds, many of them chronic. I wish I had had this product 30 years ago and I am grateful that I have it now. I am constantly looking for new ways to use it. “Banixx is one of the most incredible products I have ever used for thrush and wounds. Al had chronic thrush his entire career and we tried everything on the shelf, but nothing really worked until we used Banixx”. 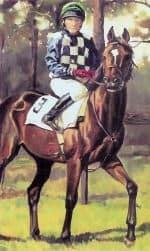 Jennifer also used it on a thoroughbred race horse that had a severe laceration on his neck that was about eight inches long and about 3/4” deep. She followed the instructions on the Banixx bottle, spraying the wound twice daily. Within 24 hours it was starting to heal and within 7 days it was completely healed with no stitches applied. 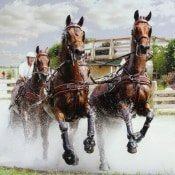 In conclusion, Jennifer said: “I gladly recommend Banixx to anyone who owns a horse”. Another success story…An owner brought her dog to our veterinary clinic with a Brown Recluse spider bite. She had applied a bandage the evening before after she noticed the bite. Overnight, the dog had not only chewed through the bandage and through the skin but was also chewing on the muscle. When we examined the dog, the affected area radiated a lot of heat and was severely inflamed. After spraying Banixx on the wound, immediately we felt a reduction in heat and the inflammation lessened. We also treated the bite with the appropriate meds, but 24 hours later, the wound showed very little inflammation, had shrunk in size by 50%, and the heat was gone. It was amazing! Sunshine arrived at Sun Bassett Rescue in Florida with a severe case of Demodex all over her body and into her ears (Demodex is a common infestation of a dog’s skin caused by mites). She was treated with Ivermectin liquid to eliminate the mites. 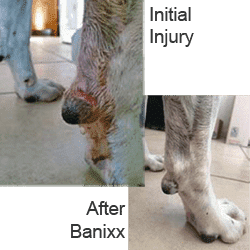 Banixx was applied as a soothing, healing agent for the outward skin infection and outbreaks all over her skin and inside her ears. Sunshine made a complete recovery and found a forever home. 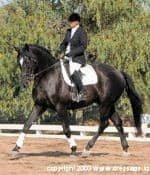 “Banixx has quickly become my best helper in the clinic, out of my truck, in the barn, and at the house for virtually every scratch, cut, wound, abrasion, abscess, puncture, and post-surgical clean-up. Having a product like Banixx that is tissue friendly and anti-microbial means faster healing time. A reduction of redness, pain, and swelling is often observed after a single Banixx application. These extra benefits help keep the horse from disturbing the bandaged wounds and traumatizing the injured site. In my opinion, everyone should switch out those old wound treatment remedies for Banixx. It is a lot easier to stock one great product then a lot of wives’ tales! The proof is in the application”. 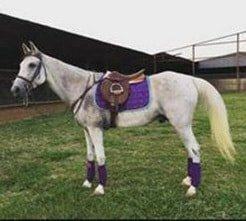 A success story from Lindsey W and Slim – Horse Scratches (Mud fever) – resolved in short order! 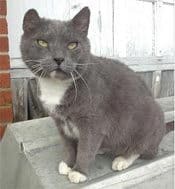 Slim, a 17-year-old grey Thoroughbred-Cross, recently got a case of Equine Scratches. 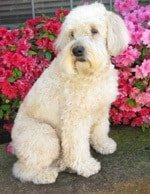 However, Lindsey, Slim’s owner, was only able to treat his condition every alternate day with Banixx. While a general recommendation for treating Scratches in horses is a twice-daily application of the product, we realize that busy schedules do not always allow for this. However, as you can see from the photos, even at a halved rate of application, the results speak for themselves! 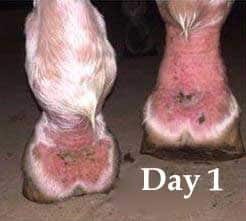 Along with a rapid reduction in redness and irritation, there is also a marked diminishment of swelling in the pastern/ankle area. Lindsey now keeps an eye open for any sign of redness or puffiness around Slim’s pasterns and is right there with Banixx at the first sign of trouble! “Great product, my old dog had a skin infection & was being treated with meds but she kept losing her hair, vet said hair would not come back, within a week not only has the hair grown back but its kept the infection under control a lot better than all the meds we had given her. Spent over $1000 trying to clear this up and the meds made the dog throw up. Try this, it works 100%” by Rita S.
Note: Customers received no compensation for their testimonials.